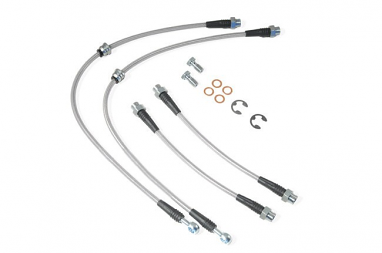 Brake lines are the life line of your brake's hydraulic system. 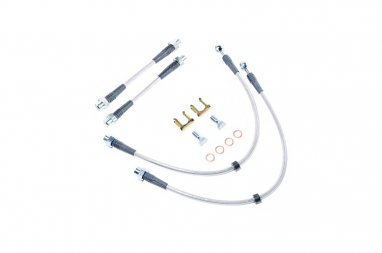 Brake lines connect the brake caliper to the car's hydraulic master cylinder. 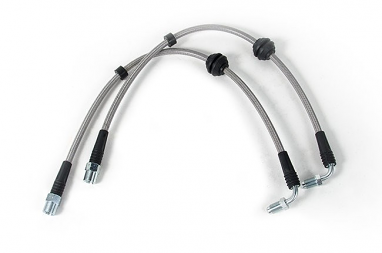 When you press on the brake pedal pressurized hydraulic fluid is forced through the brake lines into the brake caliper. 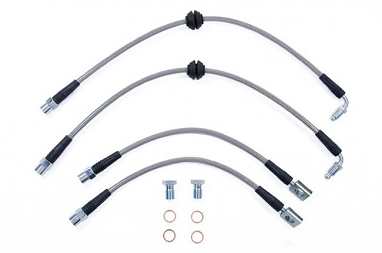 This force is what applies the brakes. 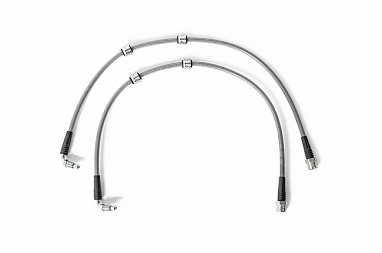 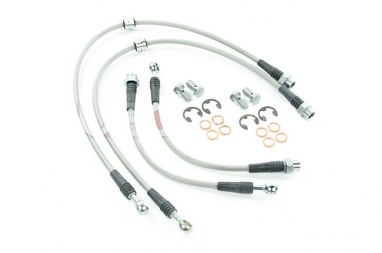 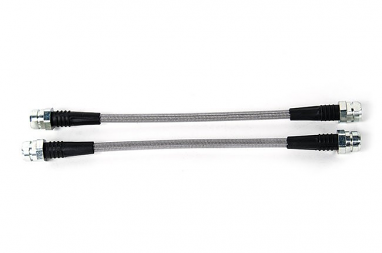 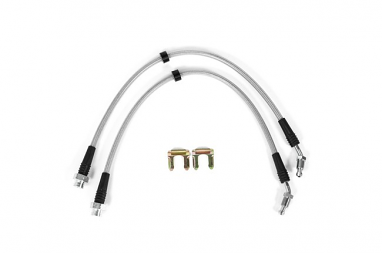 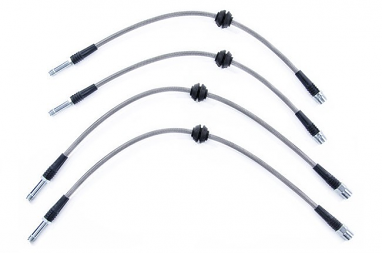 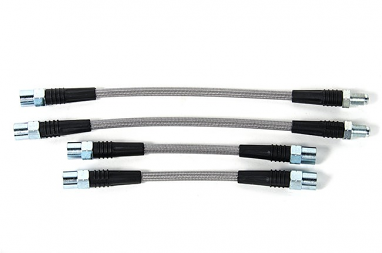 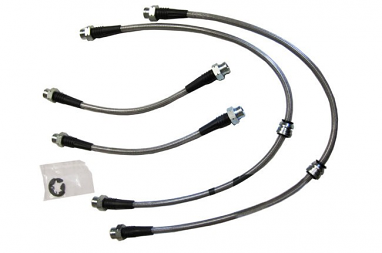 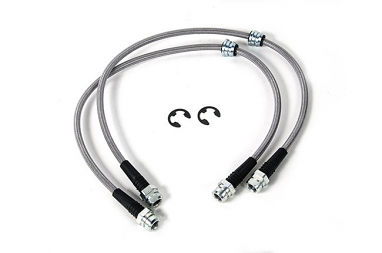 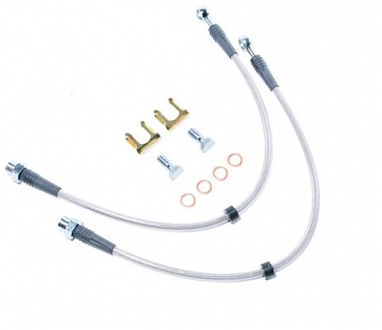 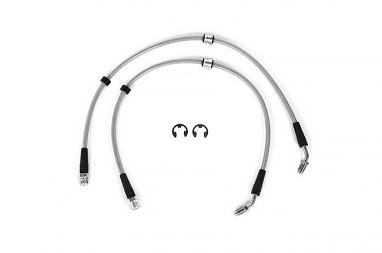 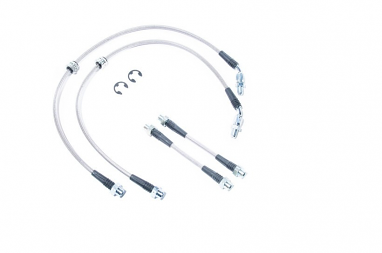 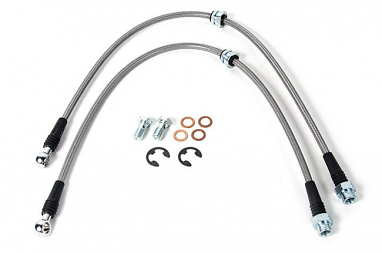 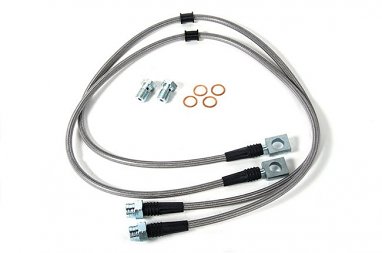 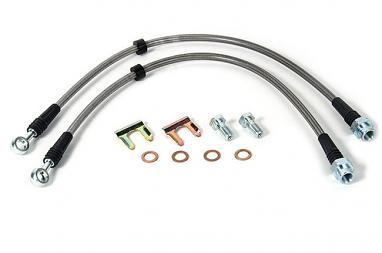 USP offers a full selection of brake lines including factory replacement and performance stainless steel brake lines. 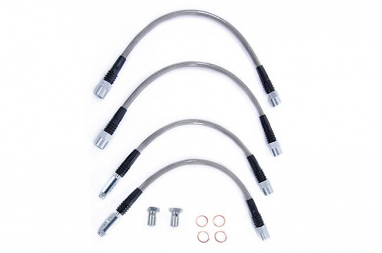 Stainless steel brake lines offer more positive braking because they do not expand under pressure like factory brake lines do. 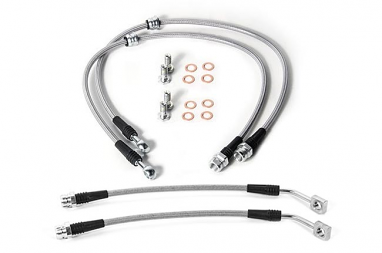 All brake lines offered by USP Motorsports are DOT approved and perfect for daily driven cars as well as race cars.